Chemtech CT18 is a heavy duty, biodegradable, concentrated cleaning gel. 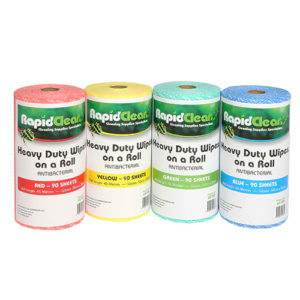 Removes the toughest grease, grime, oil & soot for a streak free finish. 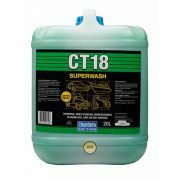 CT18 Superwash has been specifically formulated so that it is harmless to all materials used on trucks and other motor vehicles, and hard surfaces, including aluminium, brass, copper, glass, plastic, rubber, neoprene and vinyl. The neutral pH ensures that CT18 Superwash will not cause fading of paintwork, signwriting or vinyl curtains and it inhibits rust and corrosion. 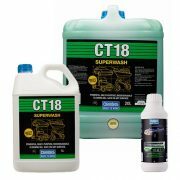 Chemtech CT18 Superwash is a heavy duty, biodegradable, concentrated cleaning gel. 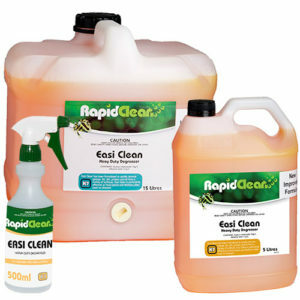 Removes the toughest grease, grime, oil & soot for a streak free finish. 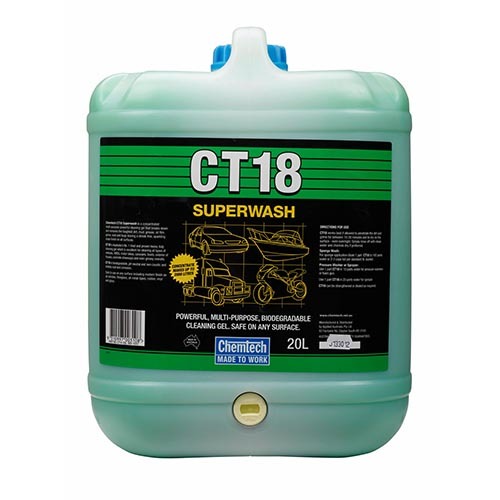 CT18 Superwash has been specifically formulated so that it is harmless to all materials used on trucks and other motor vehicles, and hard surfaces, including aluminium, brass, copper, glass, plastic, rubber, neoprene and vinyl. 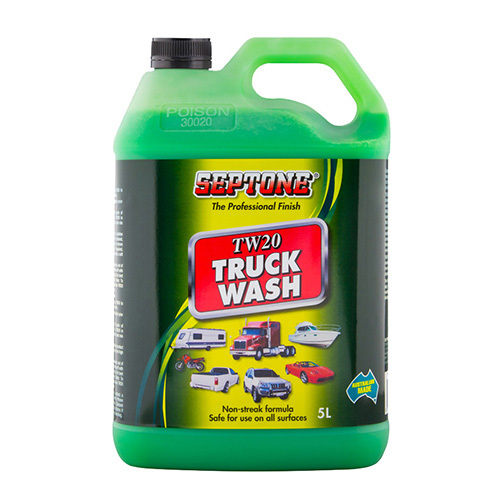 The neutral pH ensures that CT18 Superwash will not cause fading of paintwork, signwriting or vinyl curtains and it inhibits rust and corrosion. CT18 Superwash is Australia’s No 1 concentrated cleaning gel. 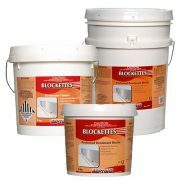 Removes the toughest grease, grime, oil & soot for a streak free finish. 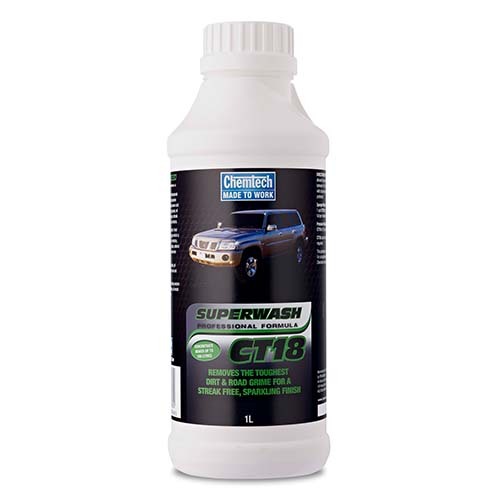 CT18 Superwash has been specifically formulated so that it is harmless to all materials used on trucks and other motor vehicles, including aluminium, brass, copper, glass, plastic, rubber, neoprene and vinyl. 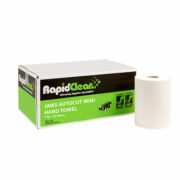 The neutral pH ensures that Chemtech CT18 Superwash will not cause fading of paintwork, signwriting or vinyl curtains. CT18 Superwash is biodegradable and of low toxicity. 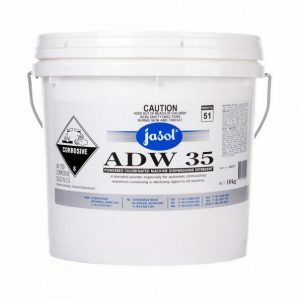 New concentrated formula, no spots, no film, no residue, removes coffee & tea stains, excellent soil removal. AQIS Approval. KOSHER Approval. HALAL Approval. NZFSA Approved. 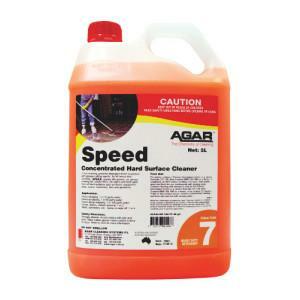 Aggressive commercial grade scour for removing tough grime. 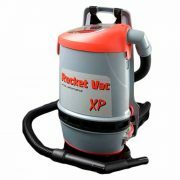 Ideal for cleaning pots, cooking utensils, and metal surfaces. Only sold in outer of 20 packs of 10.